Notre Dame de Paris in a French musical that has gain international popularity. 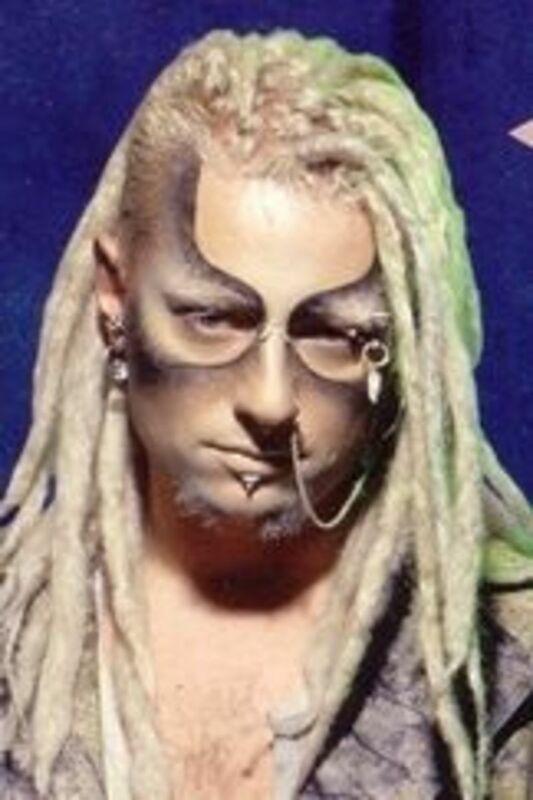 It was created by Richard Cocciante and Luc Plamondon. 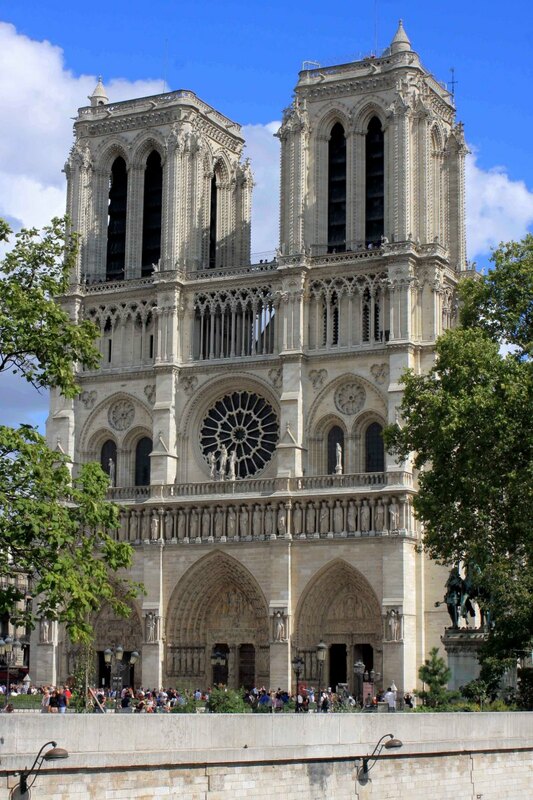 Notre Dame de Paris has been translated into many different languages and have has many different casts over the years. This Page looks at the many actors who have played Clopin. Clopin is Esmeralda's guardian and the leader of The Court of Miracles. He is very protective of both. He want social equality and tries to get asylum. He was born in Port-au-Prince Haiti on October 20th, 1967. He released in 1993 and his latest Ti peyi a came out in 2009. He has been a few movies and has been on a few television programs. Roddy Julienne played Clopin in the original cast as the alternate. 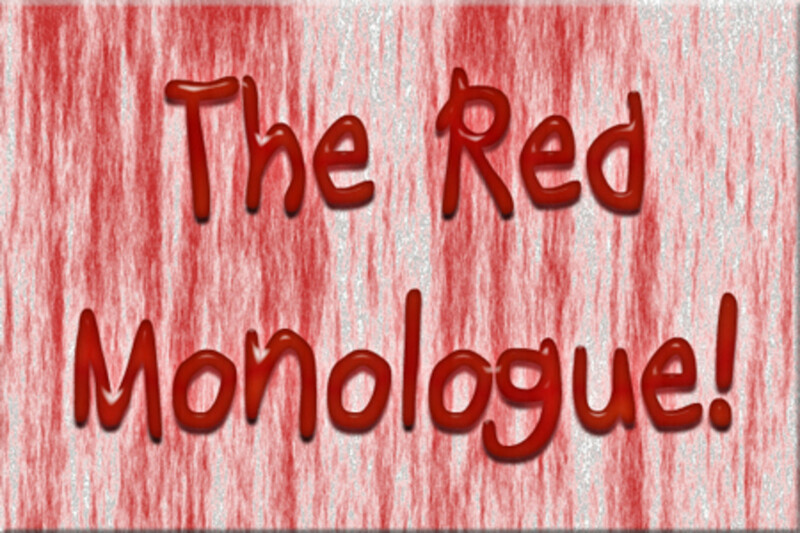 He was also in the Morgdor Cast, the 2005 Candian Tour, the 2005 Paris cast and the 2005 Asian Tour cast. He was born in 1952 in Martinique. He is a composer and has done composition for films and television. He has also been in a few movies. 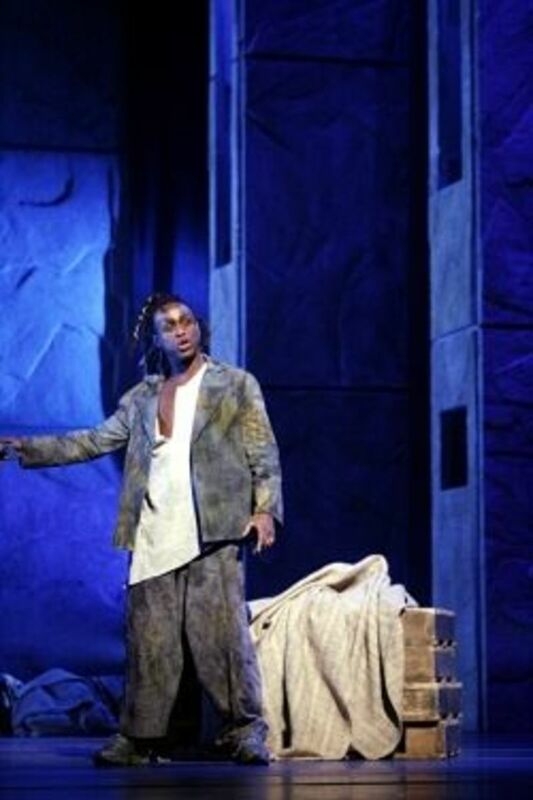 Charles Biddle Jr played Clopin in the 2001 Candian cast. Eddie Soroman played Clopin in the 2001 French cast. 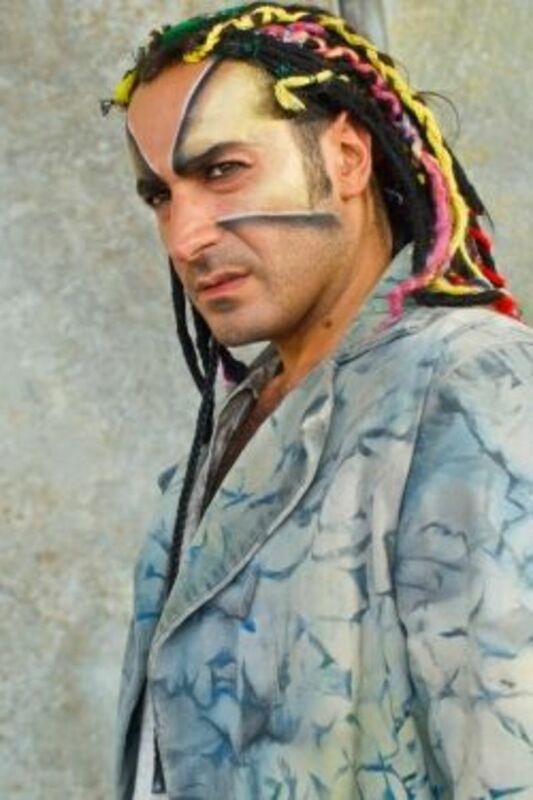 He has release one album called Si Demin, which came out 2011. Which French Clopin is Favorite? 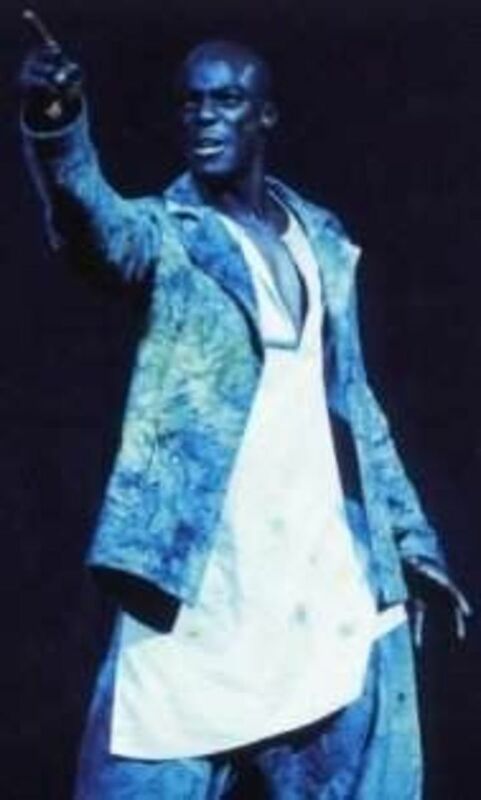 Carl Abraham Ellis played Clopin in the London cast. He has been in several musical including A Midsummer Night’s Dream. 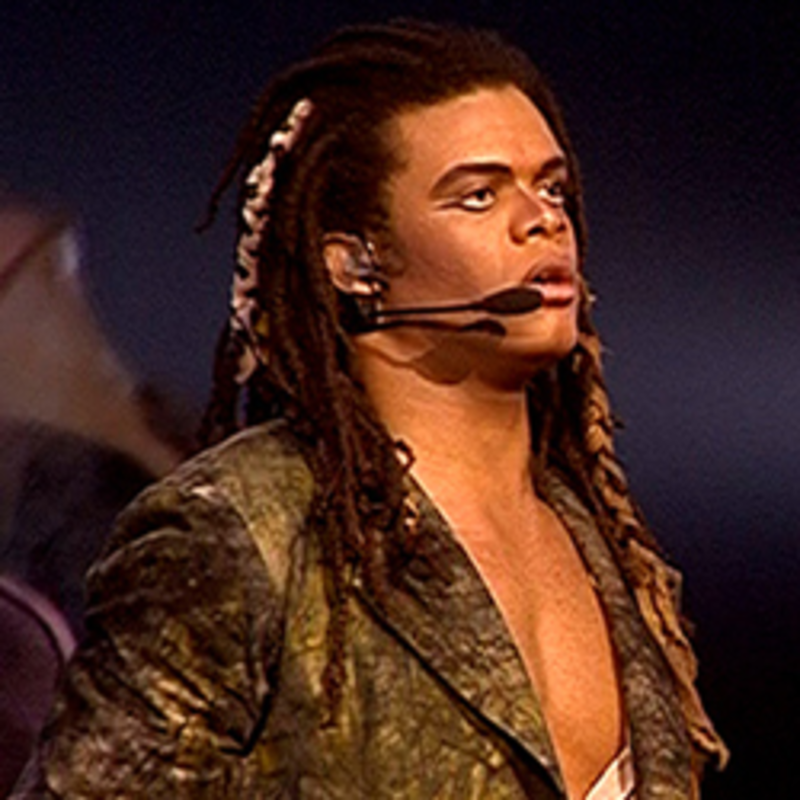 Rohan Reckord played Clopin in the final London cast. He has been in a few musicals including, Blues Brothers and Full Monty. He is a songwriter and has worked many top recording artists. Which London Clopin is your favorite? Marco Guerzoni played Clopin in the original Italian cast. He was born in Luino on August 22th 1960. As a child he played trumpet and took dance. In 1984 he formed a band that played Afro-latin music. 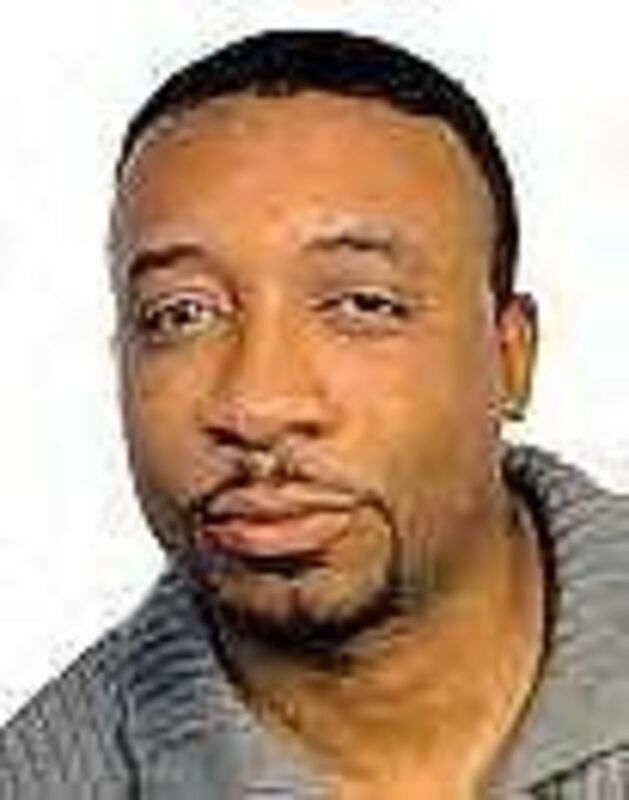 He has been an active recording artist as well as been in films and television shows. Christian Mini played Clopin in the original Italian cast. He was born in Forli on April 4th,1972. When he was 12 he started to show and interested show business. He went an Art Institute and graduate in 1991. After that he sang in various places such as festivals and night clubs. He has gone on to do plays, films and television. 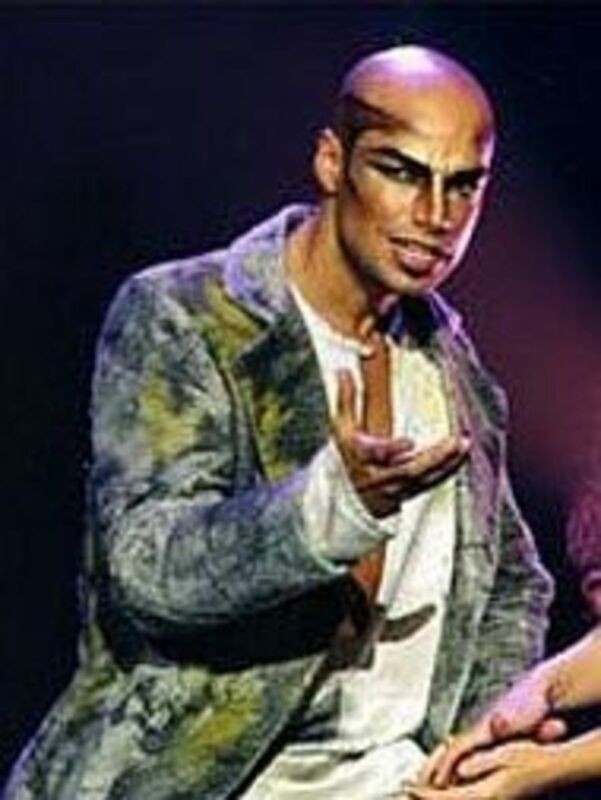 Aurelio Fierro JR played Clopin in the 2003 Italian cast. He played Clopin until Winter of 2009. He was born in Naples on November 19th 1976. He started his career at the age of 14. He later formed a cover band. In 2004 he became part of a Metal band called Mind Key. In 2008 he audition for X-factor. In 2009 he released an album with Mind Key called “The Pulse for a Greveheart.” In 2010 he became a TV host. Leonardo Di Minno played Clopin in the Italian cast. 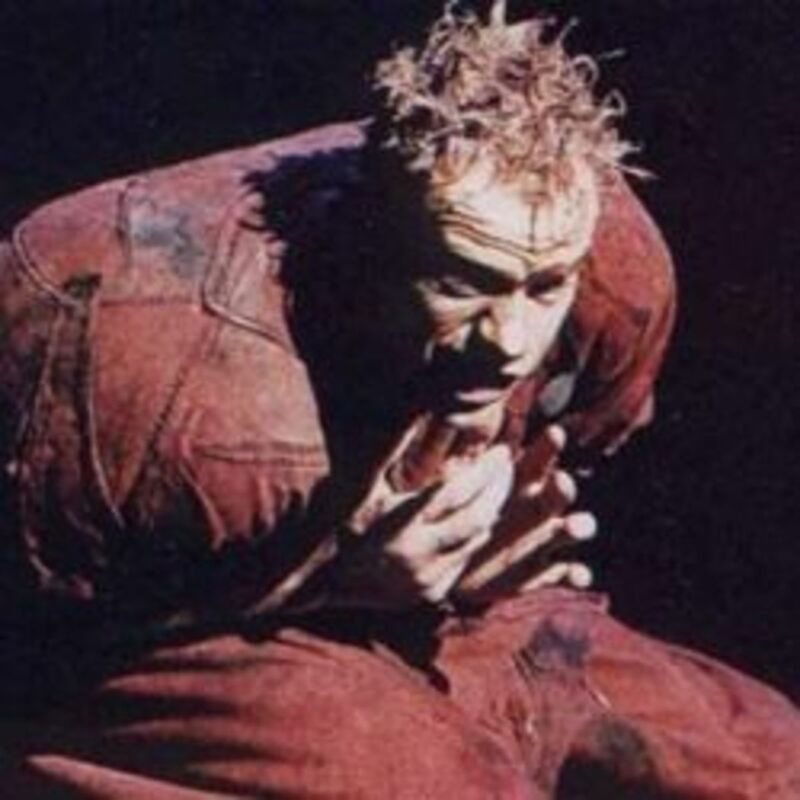 He has also played Quasimodo. He was born in Torino on February 27th 1979. 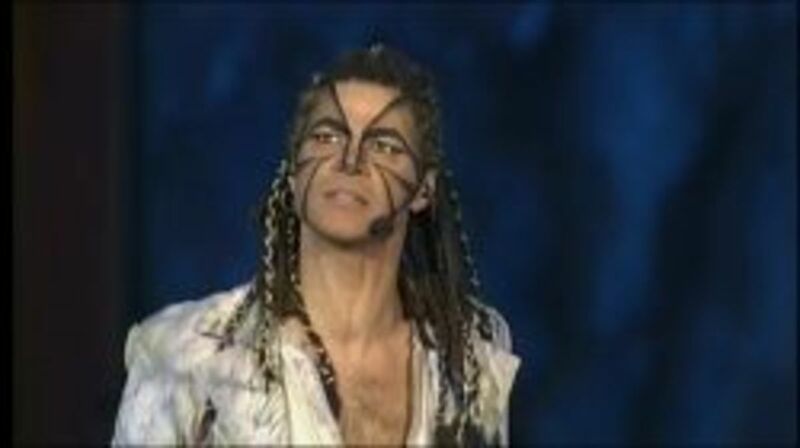 He has released several album and has been in few musicals including Cats, Romeo et Juliette, and Footloose. 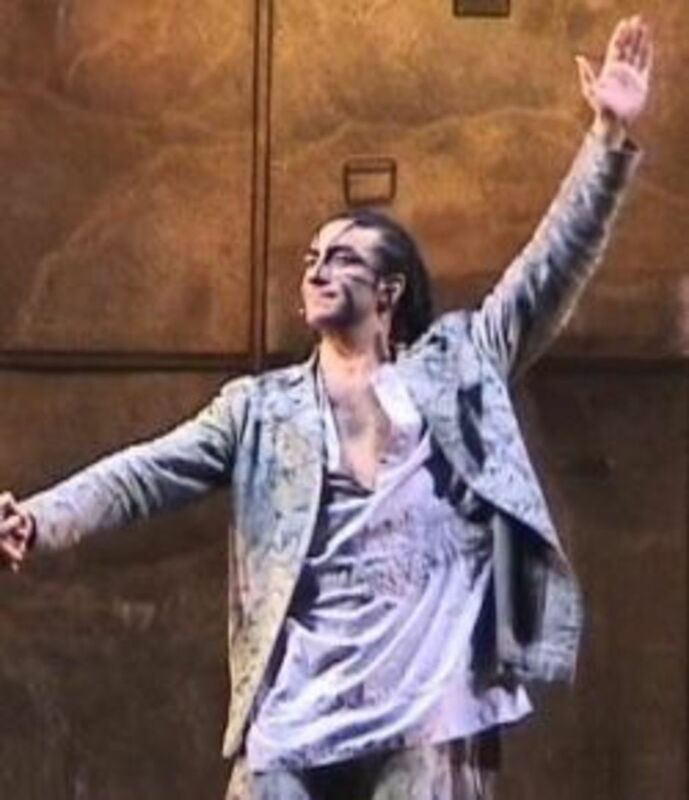 Emanuele Bernardeschi played Clopin in the 10th anniversary cast of the Italian cast. He was born in Livorno on March 24th 1973. He started playing piano when he was 8 years old and stopped when he was 16. When he was 20 he started performing in plays. Lorenzo Campani played Clopin in the 10th anniversary cast of the Italian cast. He also played Quasimodo in the same cast. Which Italian Clopin is your favorite? 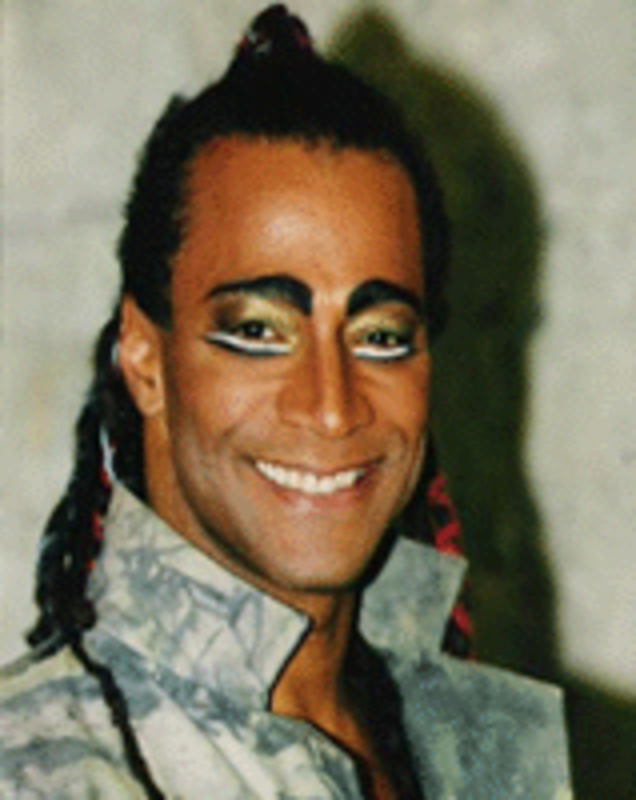 Paco Arrojo played Clopin in the original Spanish cast. He was born 1973. 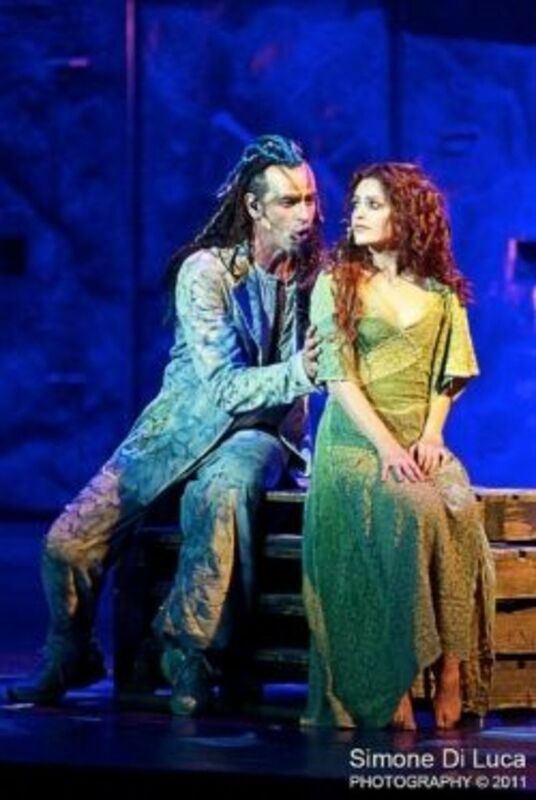 He has been in several musicals including Les Miserables, Annie and Peter Pan. 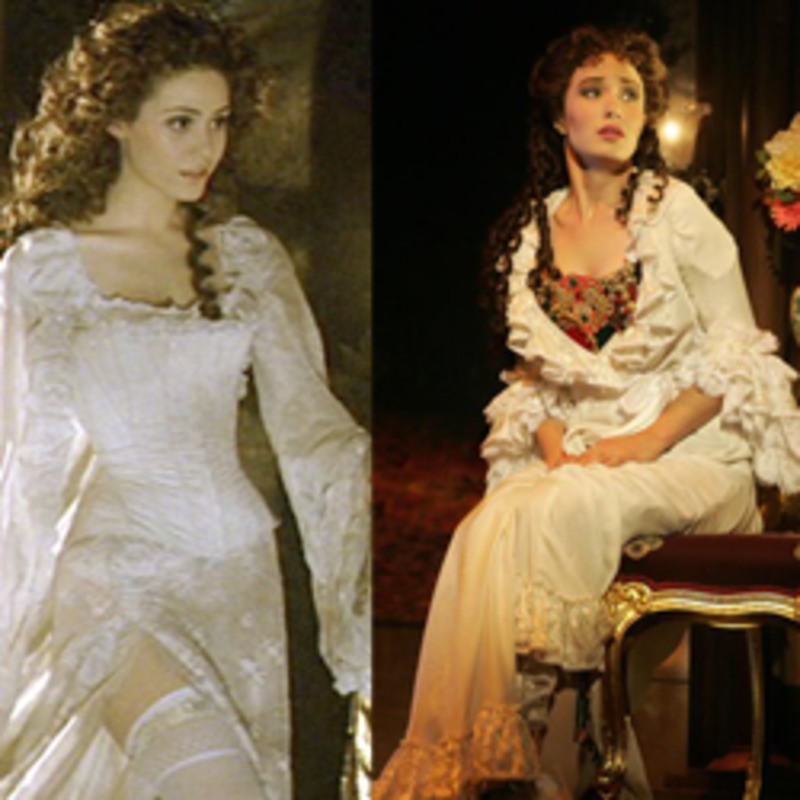 He also Raoul on the Spanish dub of the 2004 movie version The Phantom of the Opera. 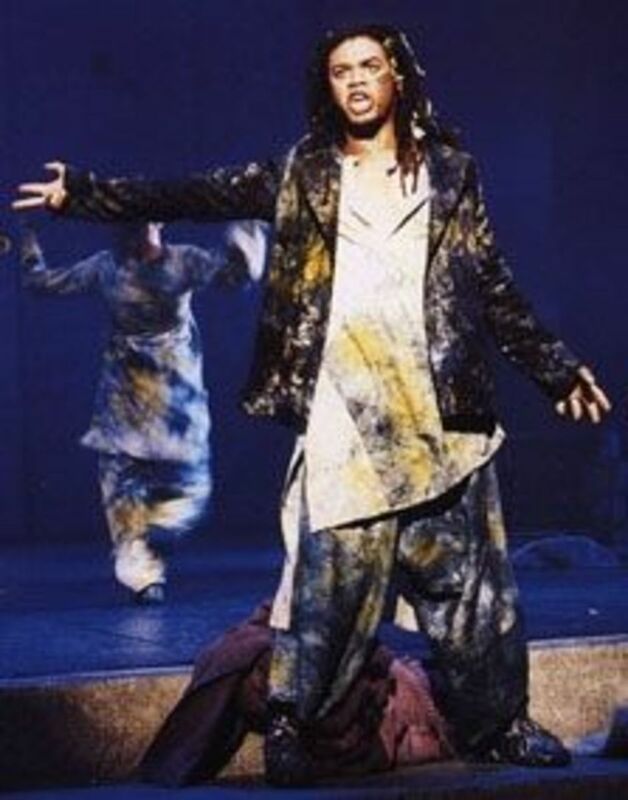 Lee Jung-yul played Clopin in the Korean cast. 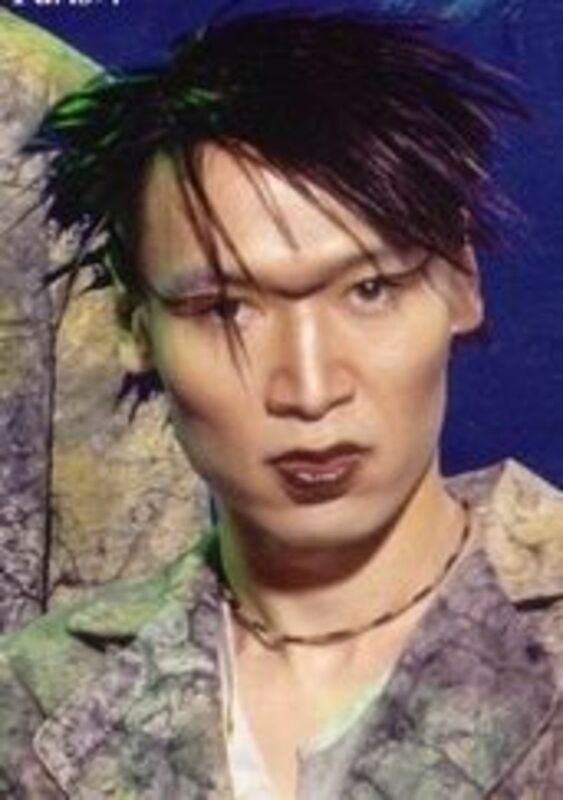 Mun Jong-won played Clopin in the Korean cast. Which Korean Clopin is favorite? Sergey Li played Clopin in the Russian cast. His father was Korean and his mother was Georgian. When he was a child he dreamed of being an actor but he major in journalism but then switch to psychology. However he once again changed his mind and pursed his childhood dream. 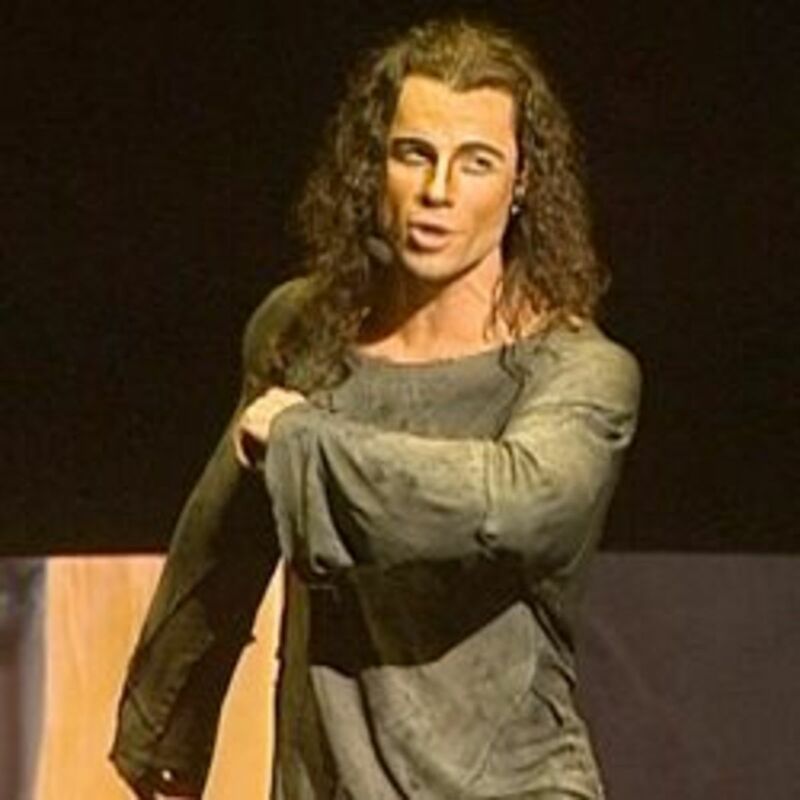 He has been in a few musicals including Romeo et Juliette where played Benvolio. Viktor Burko played Clopin in the Russian cast. He was born on October 2nd in 1976. He went to an Art College. 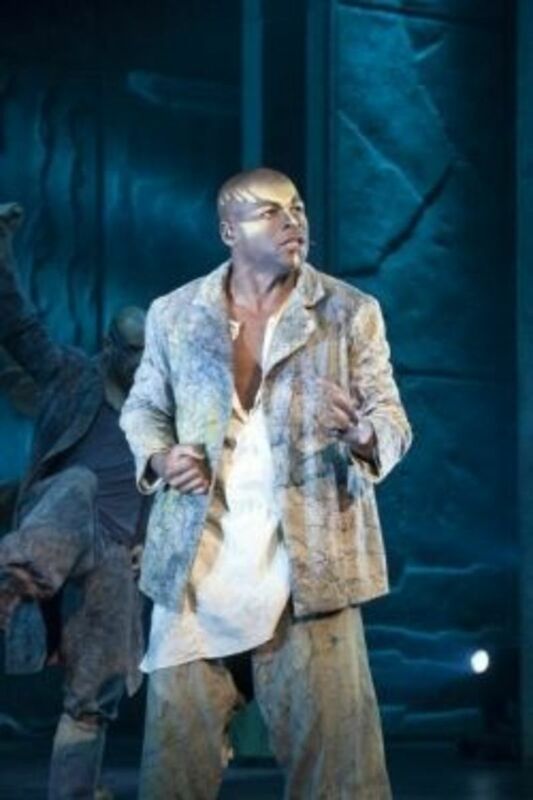 He has been in few plays and musicals including Jesus Christ Superstar. Viktor Esin played Clopin in the Russian cast. He was born on May 5th 1965. When he was a child he dreamed of be an artist. He studied at an Art Institute in his hometown. After he graduated he moved to Moscow and enrolled in college in the Musical theater department. After he graduate he stated performing in musicals including Romeo et Juliette. Which Russian Clopin is your Favorite? 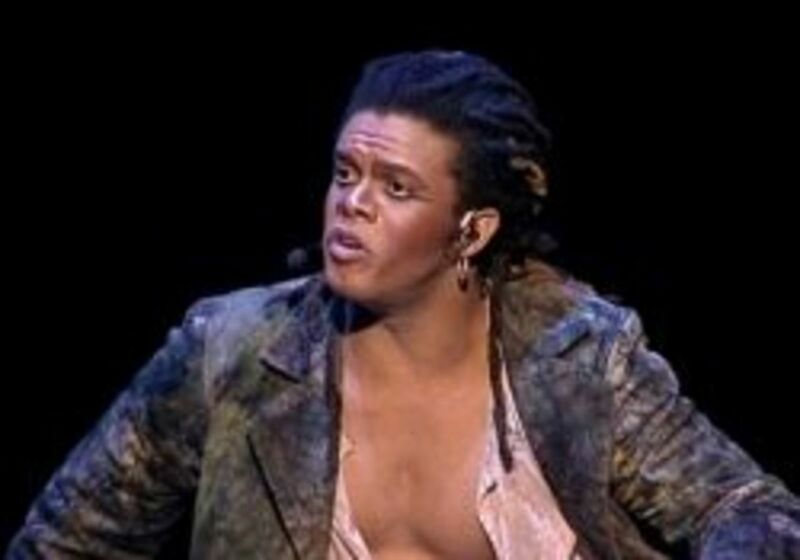 David Jennings played Clopin in the Las Vegas A Cast. He has been in several musicals including Ragtime, Godspell and Guys & Dolls. 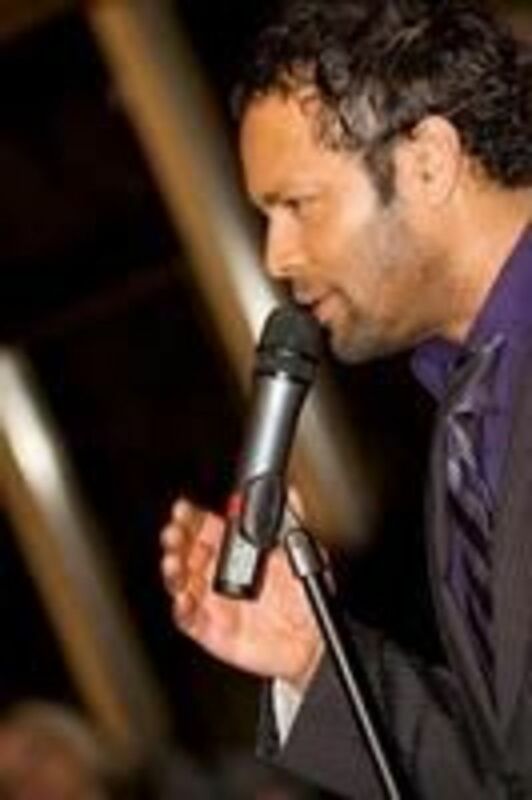 He has also performed with such other famous artist including Aretha Franklin, Harry Connick Jr, and The Temptations. 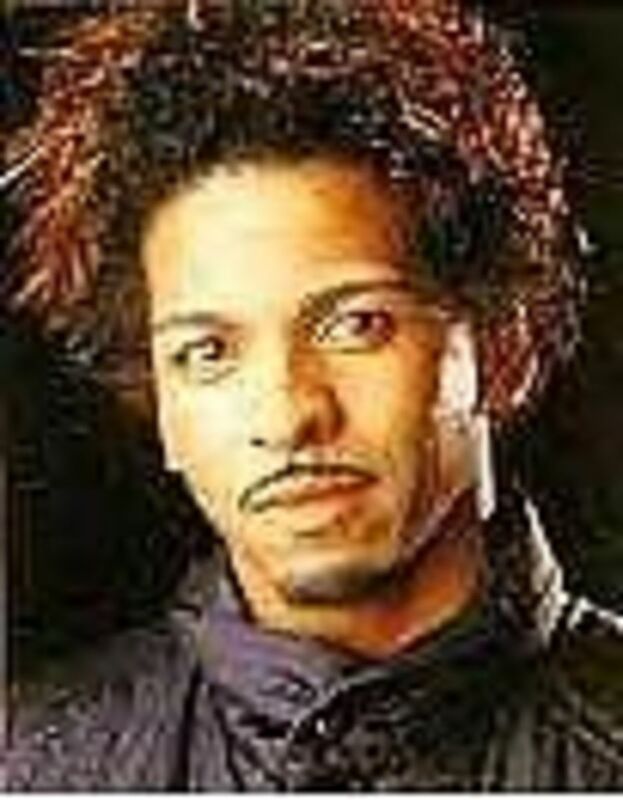 Marz played Clopin in Las Vegas B Cast. He studies Theater, Film and Television at UCLA, He has been in a few musicals and have also been a choreographer and dancer. He has worked with artists like Britney Spears and Michael Jackson. Which Las Vegas Clopin is your favorite? 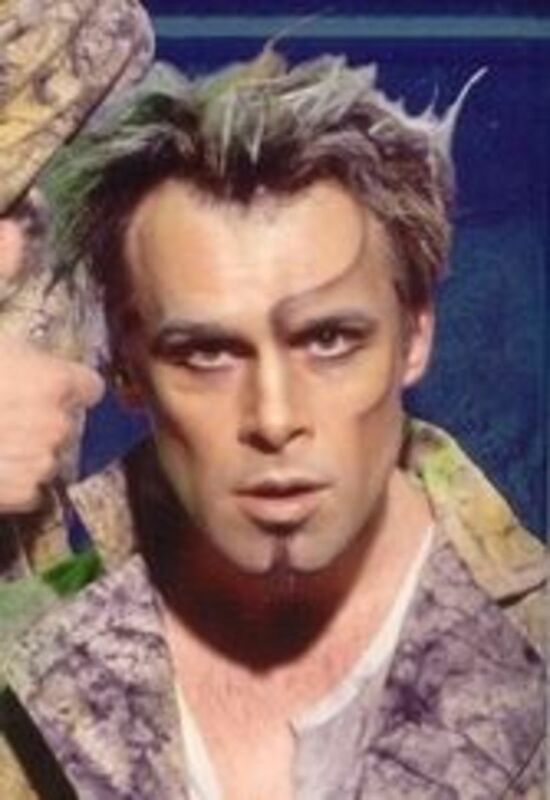 Clayton Peroti played Clopin in the Flemish cast. He was born in Suriname. In 2000 he moved to the Netherlands. 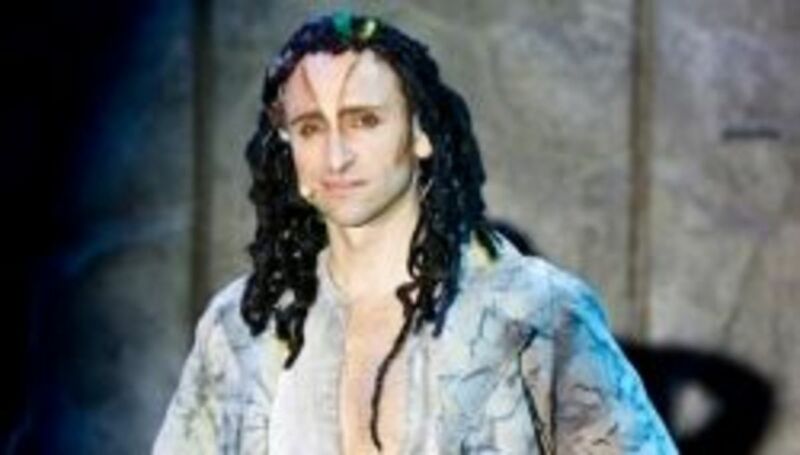 he has been in a few musicals including Tarzan and the The Lion King. He sings as a solo act and also with a gospel trio and he plays with his musical colleagues. 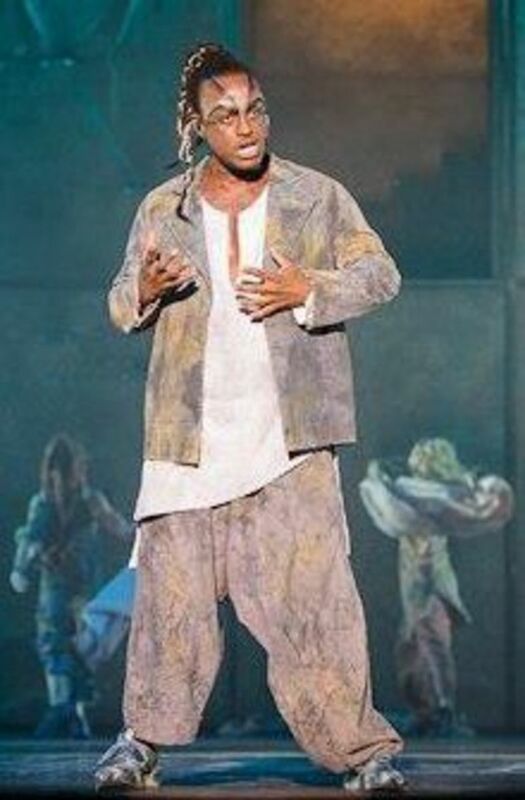 Ian Carlyle played Clopin in the 2011-2012 Asian Tour Cast. 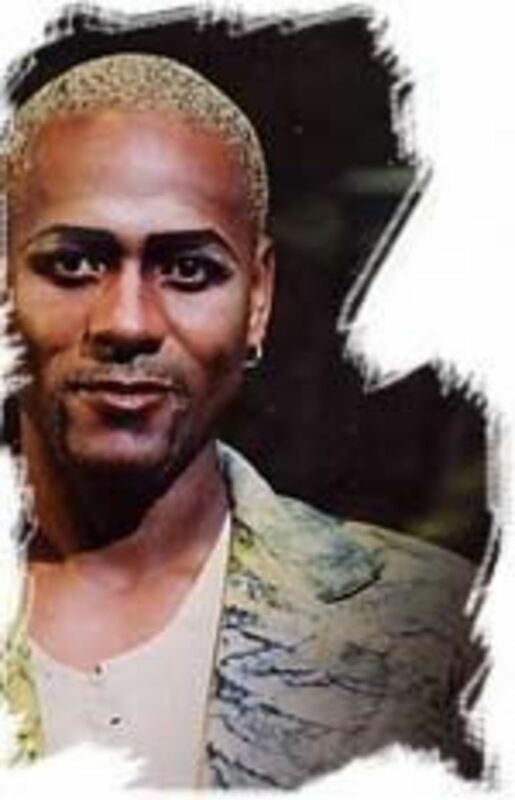 He was born in London and Barbados and is a founding member of the Purple Theatre Company. 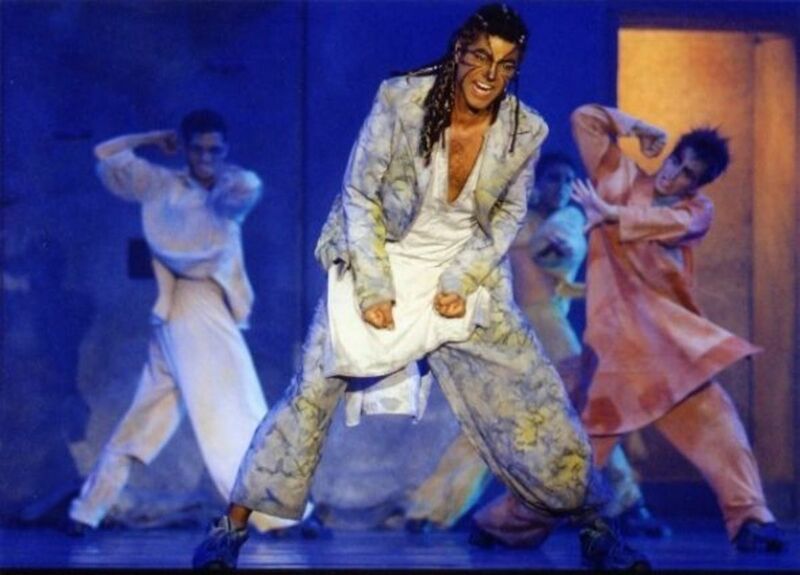 He has been in a few musicals including The Lion King. 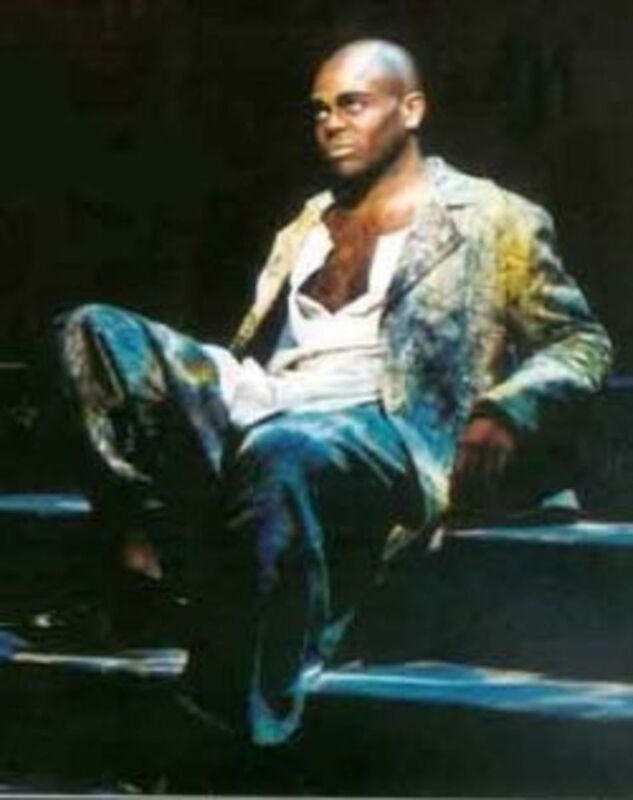 He also been in other works including Miss Saigon. Which Cast of Notre Dame de Paris is your favorite? Which Clopin is your All-time favorite?